101600Z POSITION NEAR 10.3N 92.7W. WARNINGS AT 102200Z, 110400Z, 111000Z AND 111600Z. 34 KT……. 0NE 0SE 60SW 50NW. 12 FT SEAS.. 30NE 30SE 30SW 30NW. 34 KT…40NE 40SE 60SW 50NW. 34 KT…50NE 50SE 50SW 50NW. 50 KT…20NE 0SE 0SW 20NW. 34 KT…60NE 60SE 50SW 60NW. MAX WIND 55 KT…GUSTS 65 KT. 50 KT…30NE 30SE 20SW 30NW. 34 KT…70NE 70SE 60SW 70NW. MAX WIND 65 KT…GUSTS 80 KT. 50 KT…40NE 40SE 40SW 40NW. 34 KT…70NE 70SE 70SW 70NW. MAX WIND 70 KT…GUSTS 85 KT. or about 380 nm SSE of Salina Cruz Mexico moving NW at 6 kt. headers MIATCMEP1/WTPZ21 KNHC for more details. 126W…and from 03N to 07N between 129W and 139W. 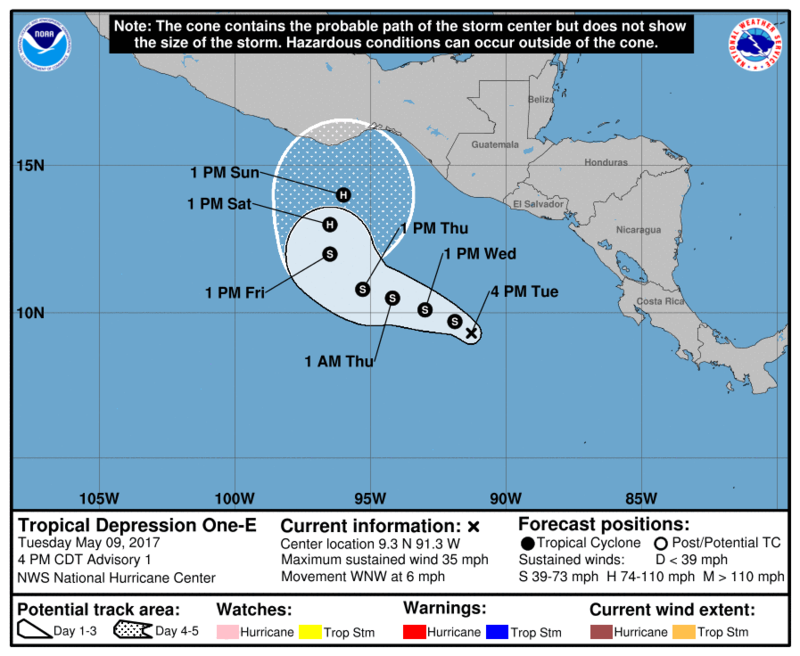 near the Gulf of Tehuantepec later in the week. occasional fresh NW winds in the vicinity of Cabo San Lucas. in offshore waters N of 25N. Storm Adrian east of Central America. winds during the overnight hours through the next several days. remainder of the week and into the upcoming weekend. 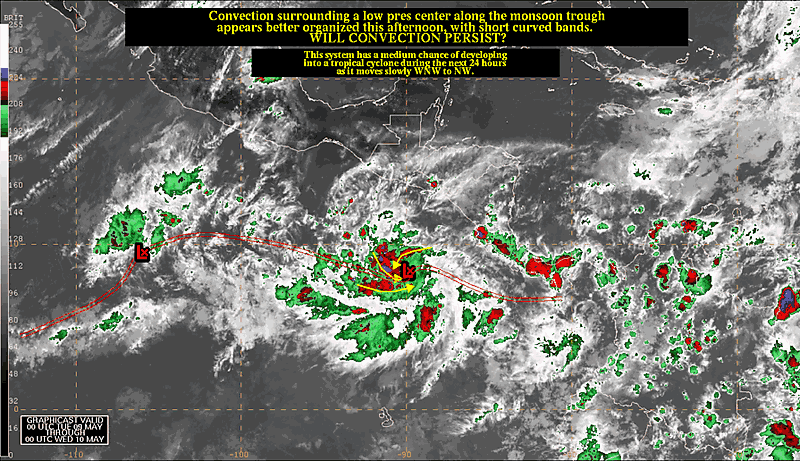 This entry was posted in NEWS, Severe Weather and tagged Adrian, East Pacific, Hurricane, Hurricane Adrian, Maritime, Mexico, Pacific Ocean, Puerto Angel, Shipping, Tropical Cyclone, TROPICAL DEPRESSION, Tropical Storm, Tropical Storm Adrian. Bookmark the permalink.